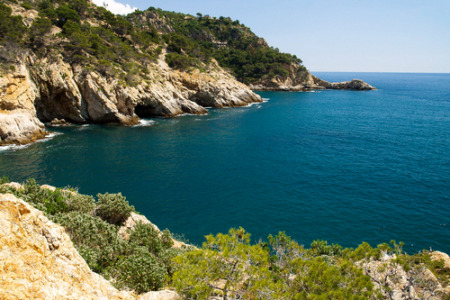 Santa Susana holidays take you to the sunny coast of the Costa Brava, forty miles from Barcelona. It is a pleasant resort framed by hills that looks out onto golden sands and the sparkling Mediterranean Sea. Holidays to Santa Susana can be taken from April until October with temperatures rising from twenty to thirty degrees at the season's height. There is over a mile of sandy beach that offers a range of water sports and there is an exciting water park nearby. Those with young children need to be aware that, with the sand sloping quite steeply into the sea, there is deep water close to the shore. Holidays in Santa Susana have wide appeal with activities for everyone. Hill walkers and cyclists enjoy the forest trails in the National Park behind the resort.